New papers in carceral geography: space, privacy, affect and the carceral habitus. In a recent article, Vincent Kearney. BBC NI home affairs correspondent, reports how body scanners have been ruled out for prison searches in Northern Ireland after a pilot. 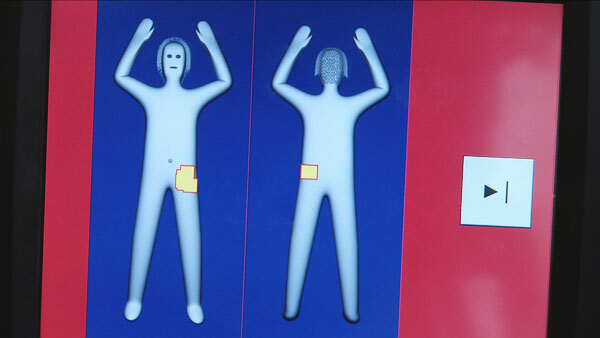 The electronic scanners like those used in airports will not replace full body searching. A prison service evaluation report says the scanners detected just 57% of test items, which included drugs, mobile phone batteries, scissors and a knife during a three month pilot scheme. The items not detected include a knife and scissors. But any move to introduce the technology is expected to be put on hold due to the results of the pilot scheme, which was introduced by justice minister David Ford. Apparently, full-body searching provided a higher level of assurance because more test items were detected. Sinn Fein MLA Raymond McCartney, has said this should not be the end of the matter. “Other people in other jurisdictions have found a way forward, everyone accepts the security of the prisons cannot be compromised, but I think in the 21st century we can find a technological replacement,” he said. The department of justice will now press ahead with plans to test another more sophisticated X-ray scanner. However, those tests cannot start until a special licence is granted because the process uses radiation and the technology has never been used in a UK prison. The prison border is constantly under surveillance, much like the geographic boundaries of states. A 2009 article by Louise Amoore and Alexandra Hall attends to the substantial recent investments by the UK Home Office and the US Transportation Security Administration in new Backscatter X-ray scanners to screen bodies at securitised border checkpoints. Promising to make the invisible visualisable, these devices project an image of a naked body onto a screen to identify concealed ‘risk’. Contemporary security practices which seek to fix identity at the border through biometrics, datamining, and profiling—of which the ‘whole body scanner’ is part—have their genealogy in efforts in aesthetics and medical science to mine the body for certainties and reveal something of the unknown future. These scanners present similar issues in both the border-checkpoint and the prison setting. The scan is revealed as a simultaneous partitioning and projection, the body ‘digitally dissected’ into its component parts, from which a specific, securitised visualisation is shaped. Amoore and Hall report that, drawing on the entangled histories of ‘body knowledge’ in art, science, and anatomy—their techniques of abstraction and technologies of visualisation—we explore what light may be shed on the Backscatter scan and, more importantly, what ramifications this may have for a critical response. Challenges to the biometric border have tended to centre on surveillance, making appeals to privacy and bodily integrity. However, if border disclosures which ‘take apart’ the body are more precisely understood as visualisations, then there are more fundamental issues than recourse to rights of privacy can counteract. For carceral geographers too, this represents more than simply surveillance. These measures seek to further discipline bodies – in this case, the integrity of the body itself – in efforts to maintain the security of the wider institution.